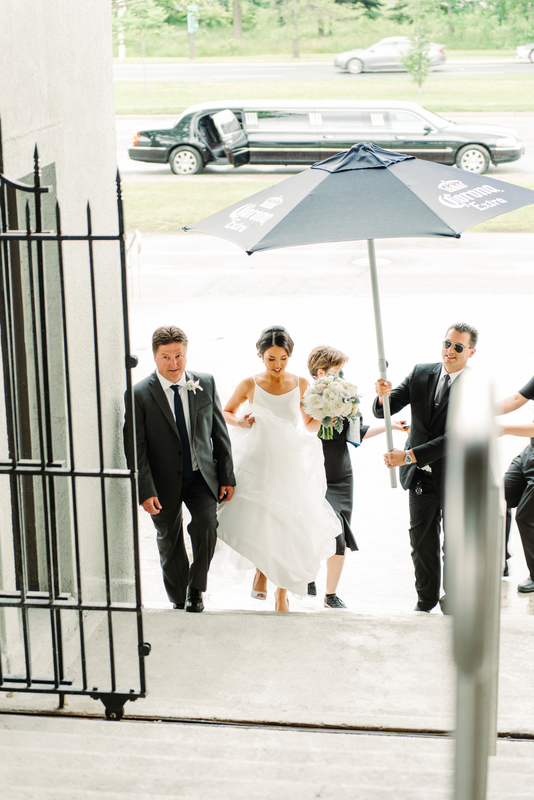 This stylish Sunnyside Pavilion wedding was the most perfect beachfront wedding just off the Lakeshore. 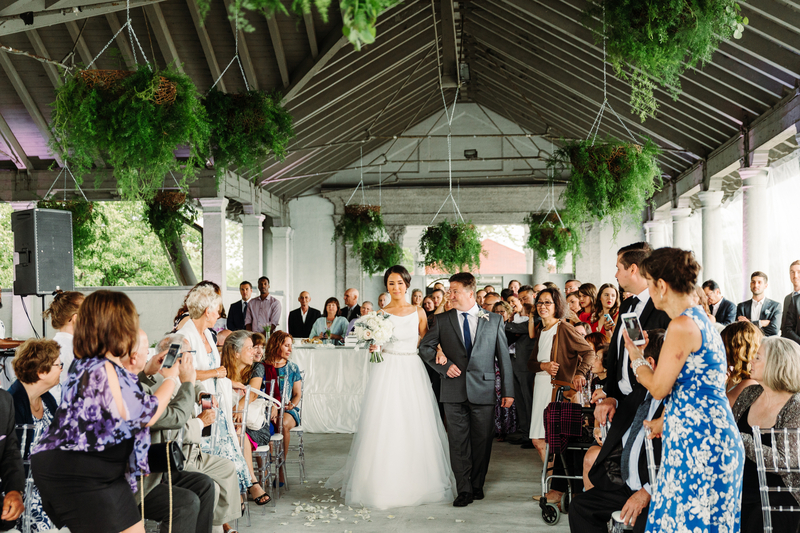 Any wedding that feels like a destination wedding …. sign me up! Carolyn and Matthew had been dating since high school, and it was very apparent how excited they were for the next step in their relationship. This couple had so many unique details to their wedding. I loved the homemade jams from Moss Berry Farm in St. Jacobs, and the “Ring Security” shirts for the ring bearers were so cute! 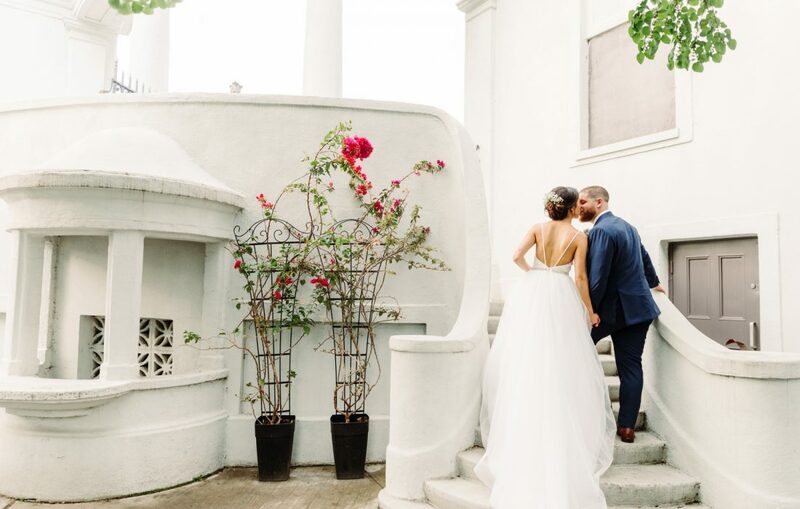 The venue was full of gorgeous greenery and delicate flowers, which were the perfect complement to the stone arches and columns. It was important to Carolyn and Matthew to include their family in their wedding. 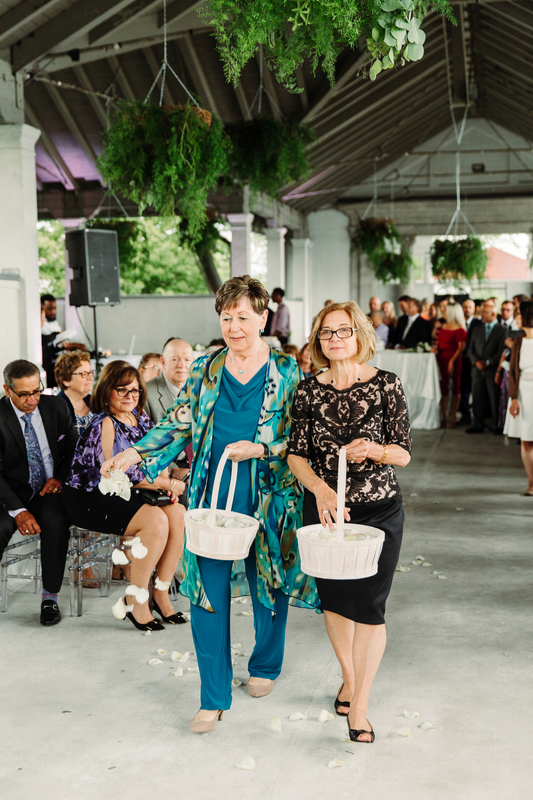 It was so sweet how they displayed pictures of lost family members, had Matt’s uncle be the officiant, and used their grandmothers as flower girls! A silly family tradition for them is to form a giant dance circle while Journey’s “Don’t Stop Believing” is playing. All of the guests participated in this fun family tradition and the groom even rocked an air guitar solo in the middle. So fun! 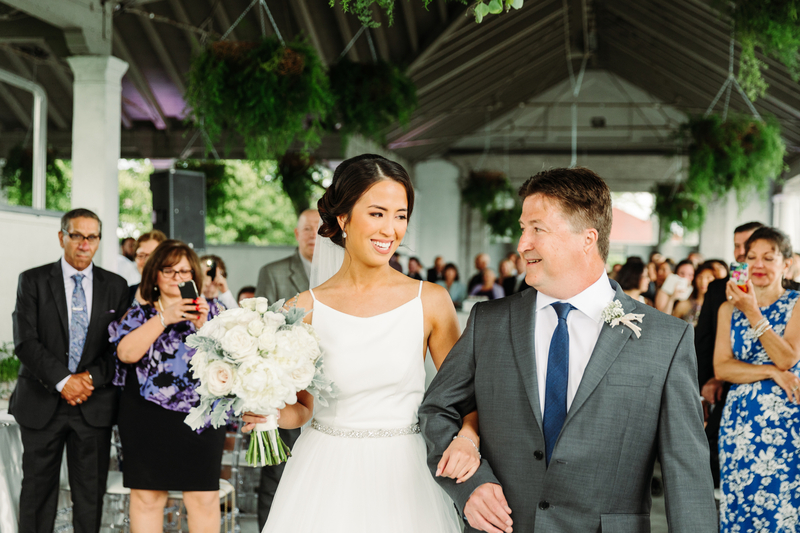 Check out Carolyn and Matt’s sneak peek pictures below! Wedding dress: Mikaella Bridal -Crêpe and Tulle Wedding Dress. Sleeveless crêpe bodice with bateau neckline and crêpe spaghetti straps with a low back. Gathered tulle skirt finished 4″ horsehair at hem. Removable beaded belt at waist.